Are you all set to appear in IIT JEE? WAIT!! Did you check its eligibility criteria? ‘Aspiring something & not knowing whether you’re eligible to do it or not can distract you from choosing the right career option for you.’ So, make sure you know the IIT JEE Mains Eligibility Criteria 2019 before you begin to aspire it. Well, you don’t need to worry about anything when you’re at Eduncle! To quench all your queries and show up the right direction to you, we are going to present you detailed JEE Mains 2019 Eligibility Criteria through this blog. Below, we have covered all the important aspects & queries that you might face while applying for JEE Mains. Let’s have a look! To make it easy for you, we’ve divided the Eligibility Criteria for JEE Mains 2019 into various aspects. Please read them carefully & set yourself prepared to appear in the JEE Mains Exam. 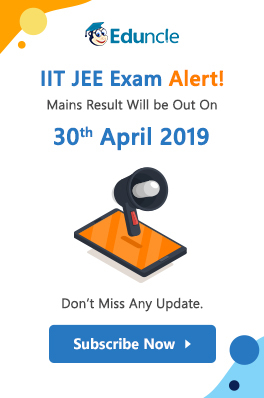 Tip - Bookmark the JEE Mains 2019 Date Page for staying updated with latest notification & updates by officials. Please check out the IIT JEE Mains Eligibility 2019 Criteria based on the age limit for General/OBC/ST/SC/PWD Categories. As per the JEE Main Eligibility 2019, there is no age limit to appear in the JEE Main Exam for the candidates belonging to General/OBC/ST/SC/PWD Categories. Candidate must satisfy himself/herself with the eligibility of age limit requirements of the Institutions in which he/she is desirous to take admission. Important Note - According to the latest public notice announced by NTA, the candidates who come in the Economically Weaker Section (EWS) according to the certificate issued by the Competent Authority may mention such category in the JEE Main Online Application Form from 11th March to 15th March 2019. This action was taken to implement the reservation for admission to Central Educational Institutions. Candidates will not be required to upload the certificate of the EWS category, but at the time of admission / appointment this certificate is required. 12th Class/Equivalent Exam Passed Out Candidates in 2017/2018. 12th Class/Equivalent Exam Appearing Candidates in 2019. Diploma Holders who have already passed or are in their final year of pursuing Degree. Important Note: As per the latest notification, the candidates appearing for IIT JEE Arch. must have passed 10+2 with 50% marks in Physics, Chemistry, and Mathematics and also 50% marks in aggregate of the 10+2 Exam. Which are the Equivalent Exams to appear in JEE Mains? 3. Final Examination of 2 Year Course of Joint Services Wing of NDA. 5. Any School/Board/University Exam in India/Foreign Country recognized by Associate of Indian Universities (AIU). The candidates who had appeared in 12th Class/Equivalent Test in 2016 or before are not eligible. Candidates those have passed the Class 12th/Qualifying examination in 2016 or before as well as those who will appear in the examination in 2020 or later are not eligible to appear in the JEE Main 2019 Exam. The Diploma Degree holders are not eligible for admission to NITs/CFTIs after qualifying Mains. They must appear in JEE Advanced 2019 & qualify it to become eligible for admission to Engineering Programs. The Diploma Degree holders will be treated as 12th Qualified only. In case the candidates fail in any subject in 12th Class and he/she gives the improvement exam next year, then it is mandatory to give the exam for all the 5 subjects. The Authorities will consider the best performance in any of the two subjects of improvement exam. If any candidate, who has qualified the 12th, wishes to appear in improvement exam for some selected subject, then his/her 12th Marks of the previous year will only be considered in JEE Main. As stated in the Eligibility Criteria for JEE Mains 2019 Brochure, the candidates must have studied at least 5 Subjects in their 12th Class/Diploma Degree Course on any other equivalent exam. As the JEE Main Exam would be held two times in a year.The exam authorities have set a rule regarding JEE Main 2019 Eligibility Criteria and it is considered that the candidates will only be able to appear in the exam for 6 times. This means that any candidate can avail only 6 chances (expected) to give the JEE Mains Exam. As per the JEE Main Eligibility Marks & Percentage Criteria, the candidates who have scored more than 75% or be in Top 20 Percentile in respective Board can only appear in IIT JEE 2019. In case of ST/SC/PWD Candidates, the percentage criteria will be 65%. The CBSE 12th Result 2018 is already out! If you've appeared in the exam, you must check out the blog to know the result declaration procedure & evaluation criteria. The candidates who have dropped a year for exam preparation must have a look at the important aspects of IIT JEE Main Eligibility Criteria for Droppers 2019. The drop out candidates must also follow the same rules as stated in the above points. But to give them a wise idea, we have come up with a quick glance of IIT JEE Mains Eligibility Criteria 2019. If the dropout students have appeared in IIT JEE Exam earlier, then the total no. of attempts will be reduced accordingly. Ask Eduncle – If you have any queries regarding IIT JEE Eligibility Criteria for Mains 2019 Exam, please ask them in the comments box below! 5 Things to Keep in Mind while Reading JEE Main Eligibility 2019! Appearing in JEE Exams is not as easy as it seems. It requires lots of things to be taken care of. Please check which are those 5 things that the candidates must keep in mind while checking up their JEE Main 2019 Eligibility Criteria! 1. Carefully Read all the instructions given above. 2. The candidates must also be aware of the eligibility for taking admission into various Institutes. 3. The Mains qualified candidates do not automatically become eligible for admission into IITs/NITs/CFTIs. 4. The applying candidates must have a valid Aadhar Card. Without Aadhar Card, they won’t be eligible to apply for the exam. 5. Since the states of Madhya Pradesh, Nagaland and Odisha have joined JEE (Main) system from 2014. The age limit, for admission to institutions in these states which were earlier admitting candidates based on their state level examinations, will be as per their past practice only. The number of attempts in such cases will also remain same as per their past practice. This will, however, be obviously not applicable for admission to IITs/NITs/IIITs/CFTIs. 6. Candidates Seeking Admission to the Institutions in the States of Gujarat Madhya Pradesh Nagaland and Odisha, which were earlier admitting based on their State Level Examination, are also advised to verify their Eligibility as per criteria laid down by these State Governments. 7. Transgender Candidates can apply in ‘Others’ Category. Check out the Instructions for - IIT JEE Mains Online Application Procedure 2019! 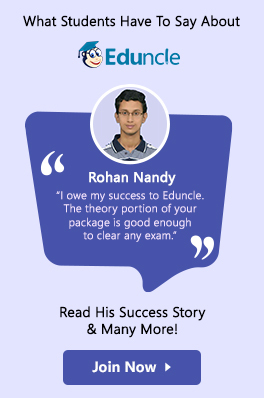 Want to Boost Your Speed & Accuracy in JEE Main 2019? Solve Previous 5 Years Papers & Analyze Your Performance with Detailed Solutions. Download FREE PDF Here. Dear Aspirants, above, we have listed all the factors & queries related to JEE Mains 2019 Eligibility. Still, if you have any queries or confusion regarding the eligibility criteria or applicability, please ask us in the comments section below! 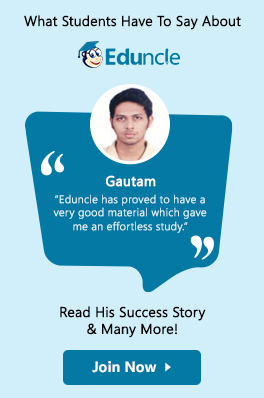 At Eduncle, we cater every single detail about IIT JEE Exam. To keep yourself informed with the Latest JEE Mains Updates, join us on Facebook & YouTube. Hope you liked reading the above post. Please share it with your friends to help them in getting the relevant information. i borned in 22-09-1993 september. but the eligibilty of jeemains is october1st 1993. i have 9 days difference.and i passed last year jeemains exam. Iam domicile of maharastra but studied from telangana board from 9th to 12th. For iit purpose which state is considered for jee mains. Please advise. I am one year dropper. I had failed in maths jkboard in 2017 But cleared it in 2017 biannual exam. I have 67% in 12th. Am I eligible to appear in JEE mains 2018? If I give improvement exam of maths in 2018 and get 75%. Will I get admission in NIT?? please reply soon. Hello sir, For jee b arch paper,75% marks in boards are required or not?? I passed isc in 2014 ,an i eligible for jee main or any other state engg such as wbjeee,galgotia university entrance?